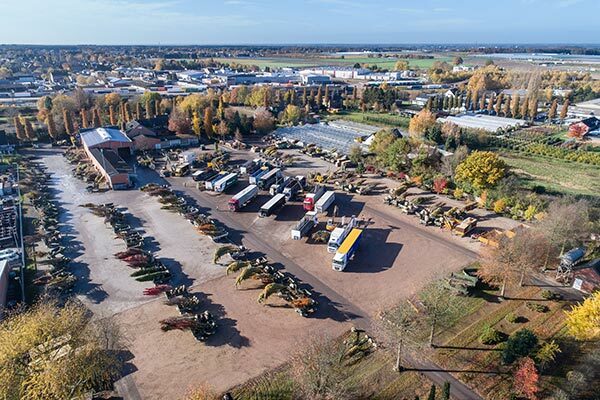 The basic equipment of the Lappen tree nursery includes innovative machines which make up a large fleet. Special harvesting machines and in-house inventions such as the root barrier machine, cutter bar and binding machine ensure that plants are treated gently. GPS-controlled planting machines facilitate the efficient planning and implementation of the production steps. The portfolio also includes the cutting edge “rootball lifter” which, together with various carrier vehicles, is capable of mechanically lifting rootballs measuring between 40 and 250 cm. This takes place up to eight times per tree. 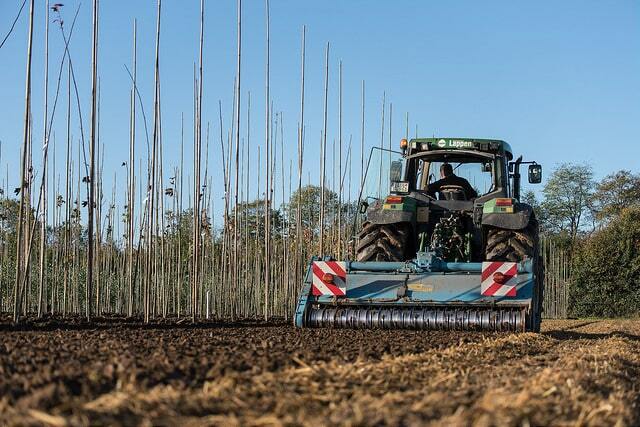 It allows the plants to be transplanted to a different location where they can develop new fibre roots. The rootball cloths used by The Lappen tree nursery, which are made of hessian and wire baskets of fast-biodegradable material to assist in this growth. During planting these are not removed, thereby preventing the rootball from falling apart and promoting the production of new fibrous roots. The fact that the roots are automatically cut during the transplantation process also leads to strong and vigorous root growth. 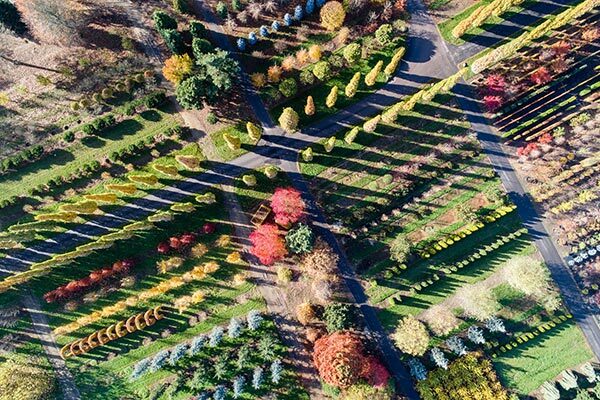 Regular selection, transplanting and pruning ensures that the trees are conditioned for growing quickly and sustainably after they have been transplanted to their new location. 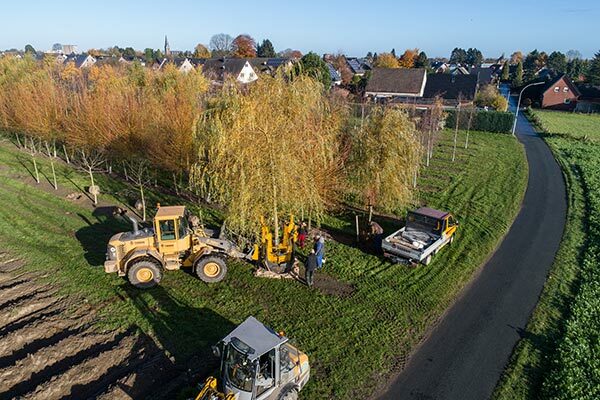 Many factors come into play as soon as trees are replanted on the fields: firstly, good preparation of the site is important to allow the plants to thrive optimally and ensure that they can continue to be cultivated to an advanced age. Good soil and subsoil conditions down to a significant depth are essential to guarantee the plants’ growth. The Lappen tree nursery implements an effective crop rotation policy in order to ensure that good soil conditions are maintained. Areas of fallow land and flower strips are increasingly having a positive effect on the plants and animals. Flowered areas currently extend to over 10 hectares. Furthermore, sowing grass between the rows makes a significant contribution to a good soil structure and offers protection against soil fatigue, as does the type of green manure used. Integrated pest management is a combination of natural measures and the sparing use of chemical pesticides, which protect crops from diseases and pests. 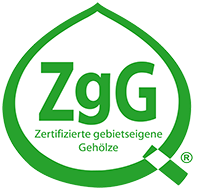 After determining the damage threshold, plant protection products are used in the tree nursery Lappen. The weed control takes place partly mechanically. The plants only get as much fertiliser as needed, this sustainable concept leads to a major reduction in the use of N-fertilisation (max. 19 – 27 kg pure N per ha). 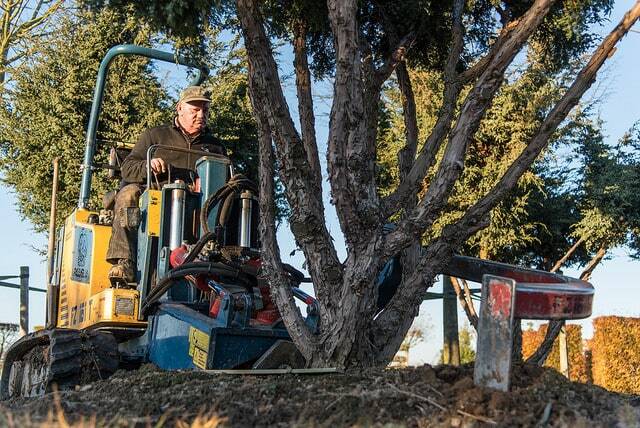 The Lappen tree nursery avoids fertilisation with phosphorus completely. 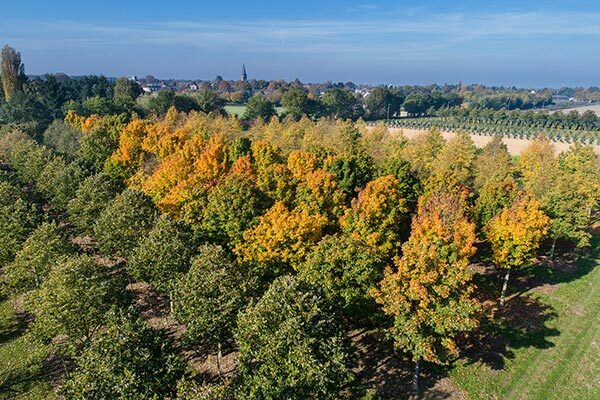 The tree nursery’s aim is to keep the leaching of nutrients from the soil – caused by fertilisation – to the lowest possible level, in order to protect the environment. 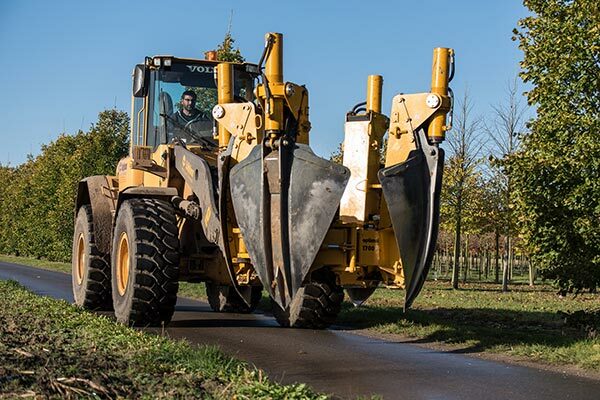 In its endeavors in this area, Lappen analyses a large number of soil samples and, in terms of fertilisation and pest control, relies not only on its own expertise and long-standing know-how, but also seeks the assistance of external consultants. The leaching of nutrients through fertilisation is kept as low as possible. Through these measures, the plants at Lappen can ripen; they are robust and are less susceptible to secondary pests. The desire for sustainability is also reflected in the selective irrigation system using tanker trailers, which leads to a reduction in water consumption. The modern system of drip irrigation is used on areas of up to 40 hectares. 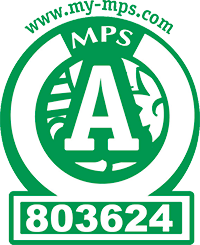 The MPS certificate awarded to Lappen also shows that the company places particular attention on environment-friendly production processes, low consumption of resources and sustainability.